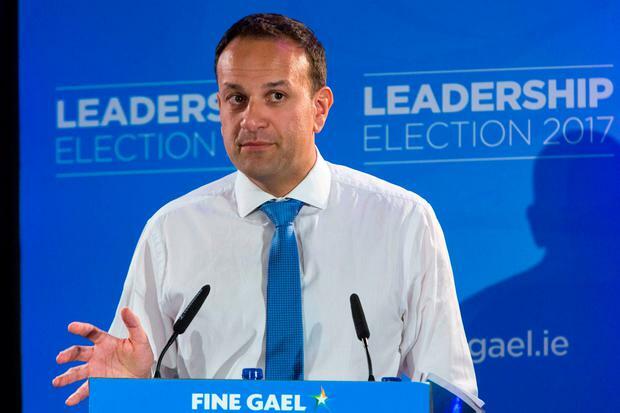 Leo Varadkar sought a series of guarantees from the Taoiseach if he was to continue as health minister after last year's General Election, the Irish Independent has learned. The Social Protection Minister has refused to explain why he was moved from the difficult department, saying he was never given a choice of ministry by Enda Kenny. He claimed revelations that he turned down the opportunity to remain as health minister are an attempt by his rivals to do him "a bit of harm" just as voting got underway in the Fine Gael leadership contest. However, it is now understood that Mr Varadkar had asked the now outgoing Taoiseach for a number of assurances, including a definitive commitment in relation to an increased budget. Sources say Mr Kenny saw this as the Dublin West TD angling to get out of health and made the decision to appoint him as Social Protection Minister. Simon Harris was ultimately made Health Minister in a move that nobody in political circles had predicted. Over recent days Mr Kenny has expressed surprise to colleagues about Mr Varadkar's insistence at the leadership hustings that he has "unfinished business in health". Asked yesterday whether he declined the chance to stay in the department, Mr Varadkar said any conversations he had with Mr Kenny about Cabinet positions remain private. "I'm not going to divulge the contents of those conversations. I don't believe he has either, so I suspect it's a third party trying to do me a bit of harm on the day Fine Gael voters start voting in the taoiseach contest," he said. "All I can tell you is the truth of this. I've never had a choice of which government department I would hold. I've always been assigned a department by the Taoiseach." Mr Varadkar went on to say that if he is elected taoiseach he intends to take a hands on approach to health. "I have expressed a very strong view that no health minister on their own can turn the health service around," he said. "There are a couple of things that are needed: leadership from the taoiseach's office; a budget that can actually be achieved at the end of the year; and a recognition that the problems in our health service are exceptional and require exceptional measures that would not be allowed in other parts of the public service," Mr Varadkar said. The minister's camp believes the surfacing of information about his conversations with Mr Kenny is being driven by Coveney supporters. It comes after Mr Varadkar accused his colleague of using "divisive and dishonest" politics by trying to portray him as right-wing. Speaking in Cork yesterday Mr Coveney denied a damaging rift is developing in Fine Gael. "People who know me know that I'm a straight shooter. But I'm a competitive person, as is Leo. And so what you saw last night was both candidates in the final debate having a pretty straight shoot-out, in terms of ideas," he said.